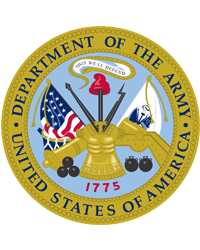 LTC (USA) Brice Lee Warthen, of Alexandria, VA passed away peacefully, January 31, 2019. Born in Beaumont, TX and raised in Alexandria, VA by James H. and Hester Warthen. He pursued his dream of being a U.S. Army Officer and was commissioned on January 20, 1951. During his career he served in Germany, Korea, Vietnam, and many stateside posts. Upon returning from Vietnam, he retired in February of 1970, earning many decorations during his career. He is survived by his loving wife of 67 years, Shirley Grimm Warthen, his brother James H. Warthen, Jr., his sister Mary Kate Whitaker, his brother-in-law Norman Grimm (June), his sons James G. Warthen (Kim), David L. Warthen (Dolores), five grandchildren, and 2 great grandchildren. A visitation at Everly Wheatley Funeral Home will be held on June 4, 2019 from 2pm-4pm and 6pm-8pm. Service with Military Honors will be the following day on Wednesday, June 5 at 11am at the Old Post Chapel. Interment will follow service at Arlington National Cemetery.